The Erice School initiative dates back to 1961 and an Erice Manifesto was established in 1982. In 2012 Ian Anderson (ORNL, US), Carla Andreani (University of Rome Tor Vergata, I), Masa Arai (J-PARC, J), Andrew Harrison (ILL, F), Robert McGreevy (ISIS, UK), and Roger Pynn (Indiana University, US) proposed and organized a School on “Neutron instrumentation” (INSIS) in Italy, with the intent that this would become a regular event. The inaugural school was exceptionally well evaluated by participating students and very useful feedback was gathered that can be incorporated into future curricula. Following this first event, the Erice School “Neutron Science and instrumentation” was established as one of the ERICE Schools at the Ettore Majorana Foundation and Centre for Scientific Culture, Italy. The first course of School “Instruments and devices for neutron scattering experiments” was held in Erice from July 28th to August 4th, 2015 and was attended by about 30 students from Europe, Asia and America. Since then courses of the school are taking place regularly on a yearly basis. 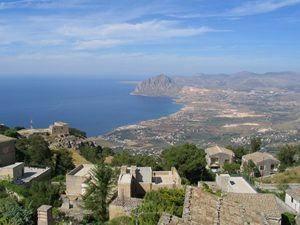 The Erice School, with the support of the neutron facilities worldwide, aims at young instrument and development scientists, engineers, designers at international and national neutron facilities, although graduate students or postdocs at universities are also welcome. Most of the lecturers comes from existing neutron facilities.